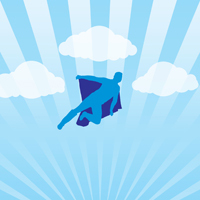 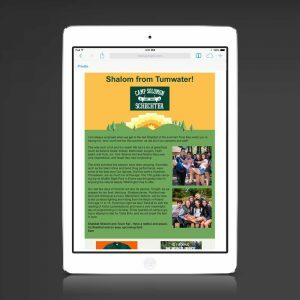 I was brought in to overhaul this well-established camp's communications from the ground up, starting with the emails that parents received while their children were away from home for weeks at a time. 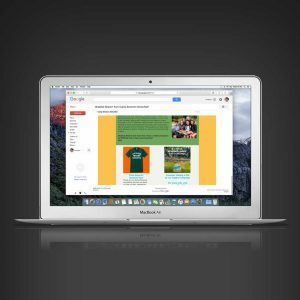 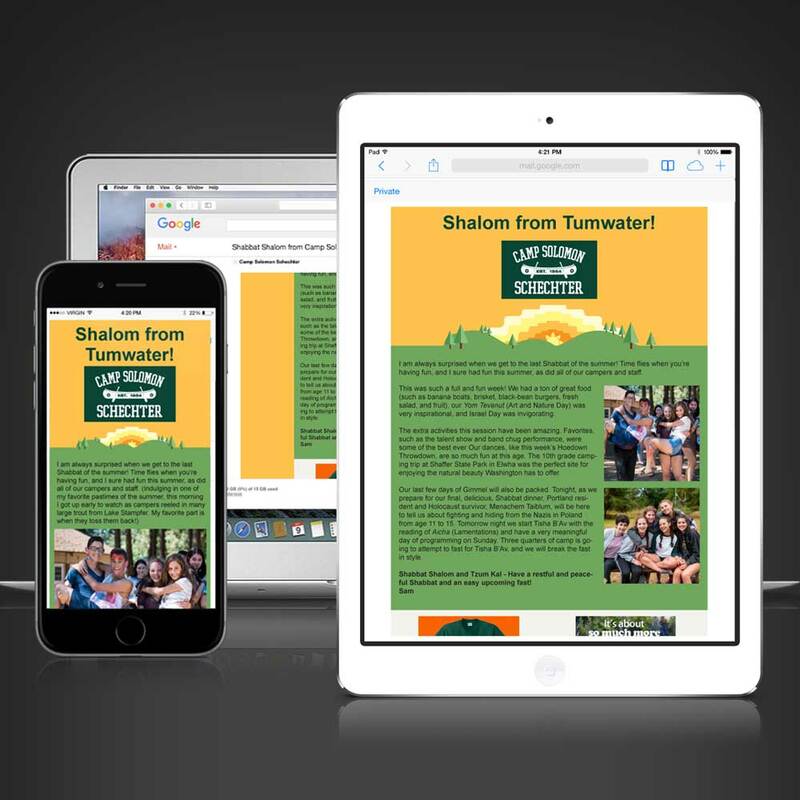 Once I confirmed that over half of the camp's audience read the camp's emails via mobile devices, primarily smart-phones, I created several email templates that relied heavily on responsive design. 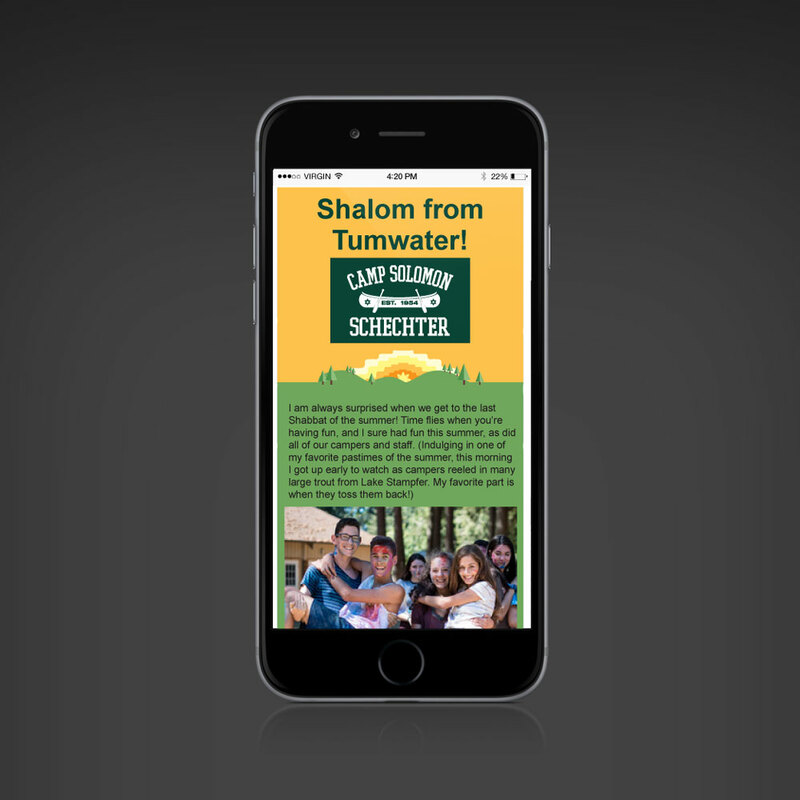 This meant that no matter what device parents used, the camp's emails would fit the screen and be more engaging. Since the camp director sent out a detailed email at the end of every week, I edited the text for length and broke up the text blocks with photos of the actual happy campers to help lead the reader. 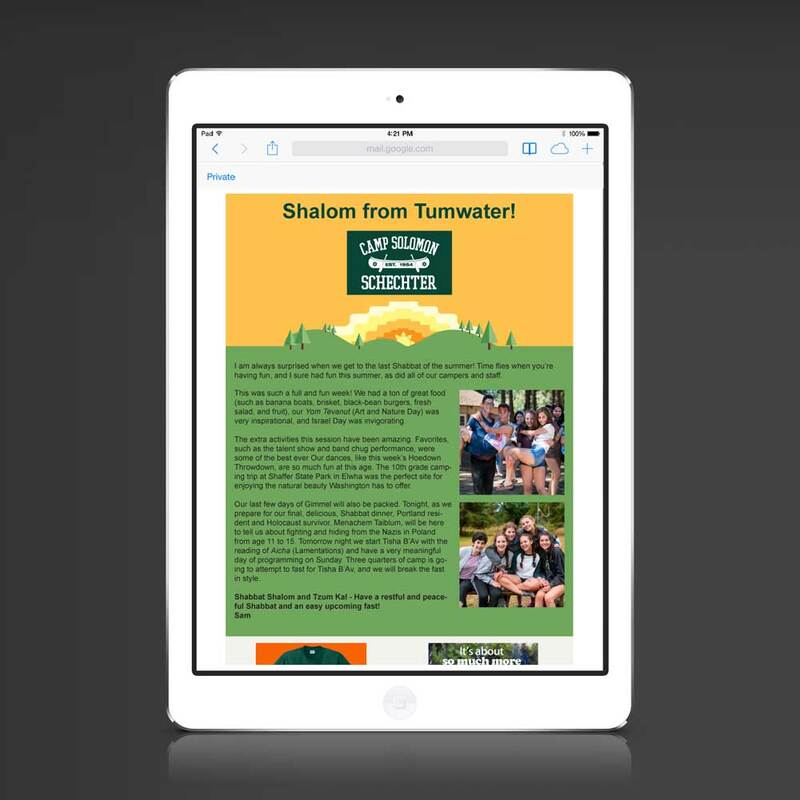 And even though the audience for these emails were parents, I designed the templates with a set of colorful modern graphics to help brighten their day.